1. 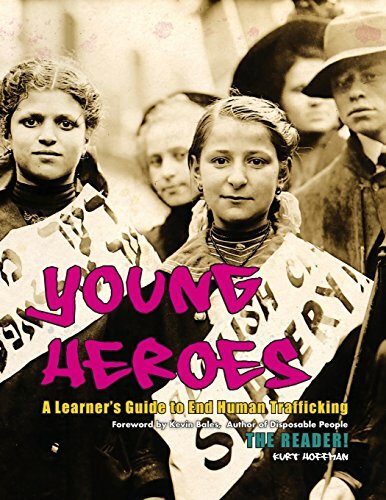 Young Heroes tackles the issue of human trafficking through the lens of philosophy, history, political science, economics, sociology, psychology, anthropology, and social work. 2. Young Heroes provides over fifty quotes from some of the world’s greatest leaders not limited to Gandhi, Frederick Douglass, and Dr. Martin Luther King, Jr.
3. Rather than telling them everything they should not do, Young Heroes cultivates prevention by empowering readers to do what they ought to do by integrating strength-based assignments, language, prompts, and resources throughout. All aimed at their core value as a dignified and equally valuable human person. 4. 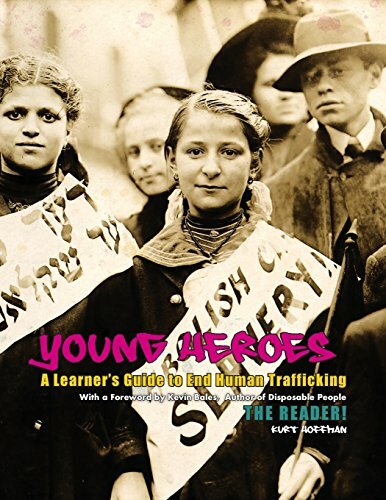 Young Heroes leverages the topic of slavery to bring its readers deeper into understanding their own humanity and cultivating their own human flourishing to abolish it. 5. From cover-to-cover Young Heroes is visually stunning, creative, and culturally relevant, including over 250 awesome graphics and images. 6. Each of the 16 chapters include multi-media-based exercises letting users do everything from watching documentaries, examining music lyrics, and researching the roots of hip-hop. 7. Each chapter includes at least five vocabulary words, five multiple choice or true/false questions, and several self-examination prompts in-text. 8. Cultivating self-awareness each chapter includes a Memoir of a Young Heroes section, which gives readers personally and socially relevant topics to consider, 1-10 self-ranking questions, and multiple pages to journal their mental and emotional reactions. 9. Designed with journal lines embedded onto every page Young Heroes is maximally engaging and interactive. We are pretty sure it is the first textbook readers are actually supposed to write in. 10. The back of the book includes easy field trip suggestions, vocabulary definitions, well over 100 anti-trafficking resources and links for further research, and even Action Tanks, which are 16 detailed yet practical steps for groups to follow in developing their own form of action in their community. Review the sample pages below then buy your own copy today. If you are interested in ordering larger quantities simply contact us to receive our bulk rate specials.